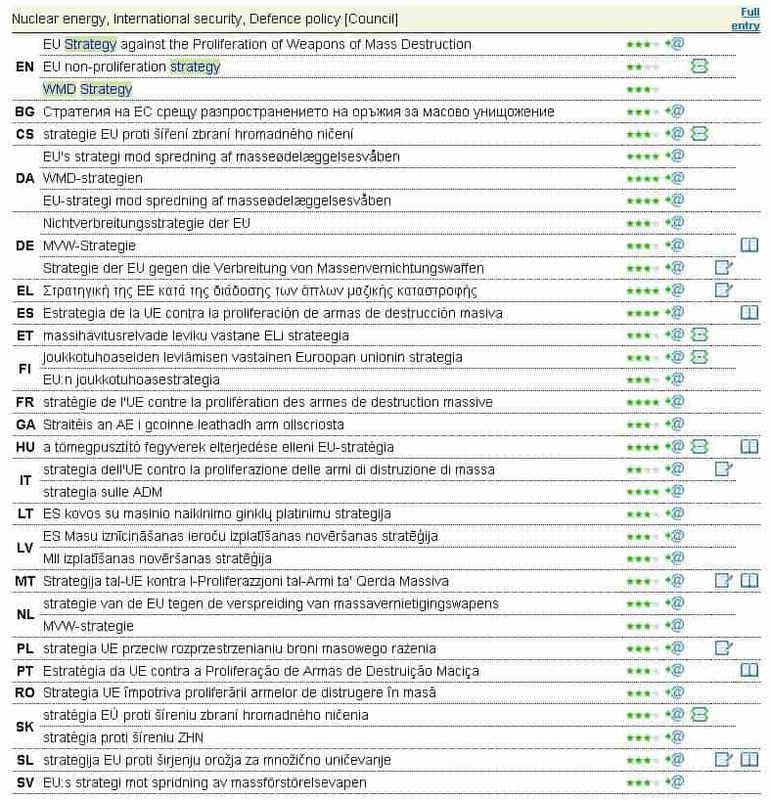 This week we selected the term “WMD Strategy” (the EU Strategy against the Proliferation of Weapons of Mass Destruction), with reference to the 2012 Nuclear Security Summit which took place this week in Seoul, (read more about the WMD Strategy on the website of the European Union). Definition: a strategy adopted by the European Council on 12 December 2003, in parallel with the adoption of the European Security Strategy. The WMD Strategy provides a fully-fledged roadmap for immediate and future action in the fight against proliferation of WMD.